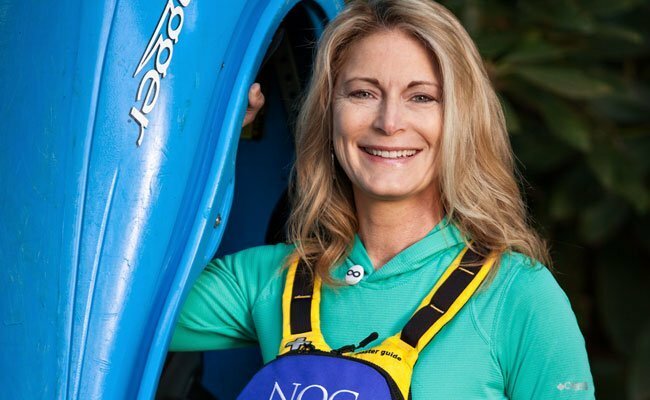 Jae is NOC's Paddling School Guest Relations Manager, so she's usually the first point of contact for canoeing and kayaking guests seeking instruction. In staff meetings she's often put on the spot when NOC's leadership team reads guest comments about her—and they're always top notch. Jae is originally from Jacksonville, FL. Before coming to the Nantahala she had a 10-year career in the U.S. Postal Service and has held positions in sales and marketing. She started as a server at NOC's River's End Restaurant, and now her qualifications include Wilderness First Aid and River Rescue Certification-Pro. Her hobbies are paddling (of course! ), mountain biking and backpacking. Jae's favorite advice for students is "to be patient with yourself. It's about having fun!"